Phil is a Business Analyst at HMT working in our Lead Advisory team. Phil obtained his BA (Hons) in Accounting and Finance from the University of Plymouth in 2018. 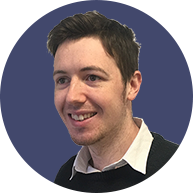 Phil joined the HMT team in September 2018, becoming a Business Analyst within our Lead Advisory team and he also supports the financial modelling function. Phil is currently undertaking a corporate finance qualification with ICAEW supported by HMT. Phil lives in Bracknell with his girlfriend Izzy. When not at work, Phil enjoys sports and especially martial arts, football and golf. He also spends time gardening or working on DIY projects that he then shares with his 10,000+ followers on Instagram.